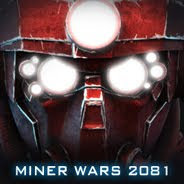 Engineers stand ready, big update ahead! With today's major release we are bringing you some amazing additions to the game! 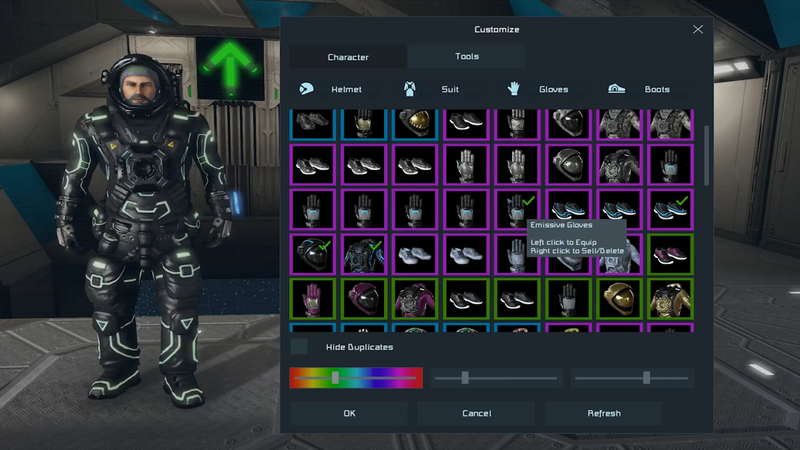 From now on, you will be able to personalize your engineer with a broad range of new items! We are introducing customizable skins for your engineer, your tools and your weapons. It’s time to show off! On top of that, another brand-new block makes its debut in Space Engineers; the reloadable parachute block for both small and large grid! To make use of them in your creations, first, just add these new blocks. 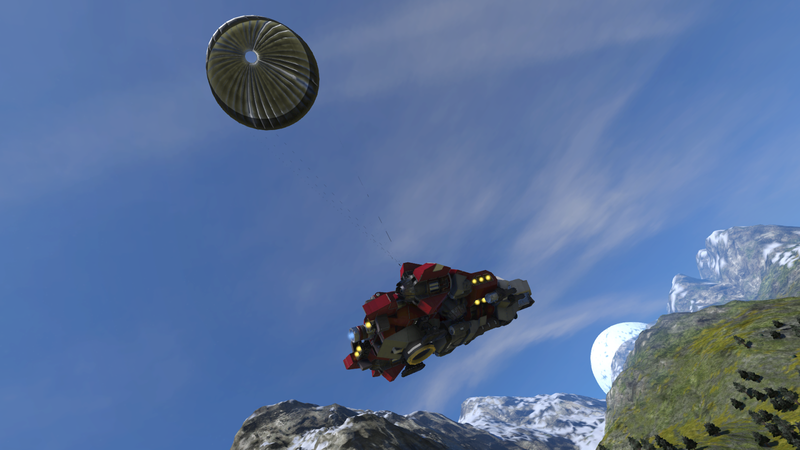 Then craft some of the new components that came with them, the parachute canvas, and prime the chutes with them. Now you can either keep control over them manually, triggering the deployment of the chute via your ships terminal interface or toolbar, or you simply use the “deployment altitude” feature for a more automated behaviour. Just remember, you do need to be in atmosphere for them to function! A special “Thank you!” goes out to community modder “Draygo”, who has been working closely with us on this new feature for all of you to enjoy! Once you have found some of those new customization items, they will stay linked to your game account, but you will need to get your hands on some of them first! If you play the game in survival mode, from time to time, you will pick up the signal of a nearby container on your scanners. This can happen planetside, as well as in the darkness of outer space. Your suit’s systems will automatically triangulate the approximate position and a marker will be added to your GPS system, to help you locate the containers and salvage their contents. Once you have examined a container thoroughly, you can find various items for your character, your tools or weapons. As soon as you find a cosmetic item in one of these containers, they will be stored in your Steam Inventory, just as you are probably used to from other games you play on Steam. This means you can also send these to your friends and work together on collecting the various items! To swap the items on your engineer’s suit, you need to use the Medical Room (where you previously only changed the color of your suit). You are also able to access the new customization screen from the main menu and set the default appearance of your engineer there, before even entering a game. Many of the skins you are now able to find, will belong to a set of matching items. 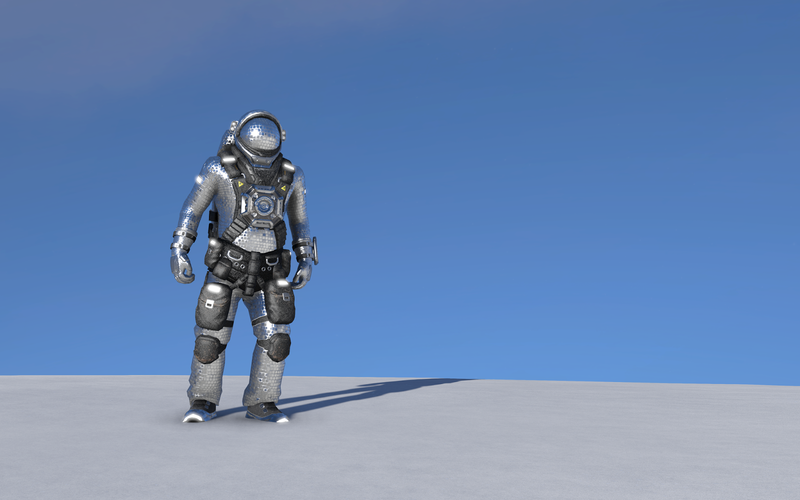 There’s four items for the engineer: Helmet, Gloves, Boots and Suit. On top of this, there’s also matching variations for your engineer’s tools and weapons. Each of these pieces can be found individually and you can combine them any way you want. Our artists have worked hard to give you some truly amazing skins for your engineers, so keep your eyes peeled for mysterious signals! Many of the items are also colorable, just as you are used to from the default suit, while others come in their own, unique appearance. It might also be easier from now on, to tell if one of our developers is visiting your game server as only authorized Keen personal will be able to wear the Keen-Pyjamas. So first off, you can trade these cosmetics amongst your friends and help each other complete those sets even faster. That’s the most obvious one, nothing new here, you have seen that in a hundred games by now. 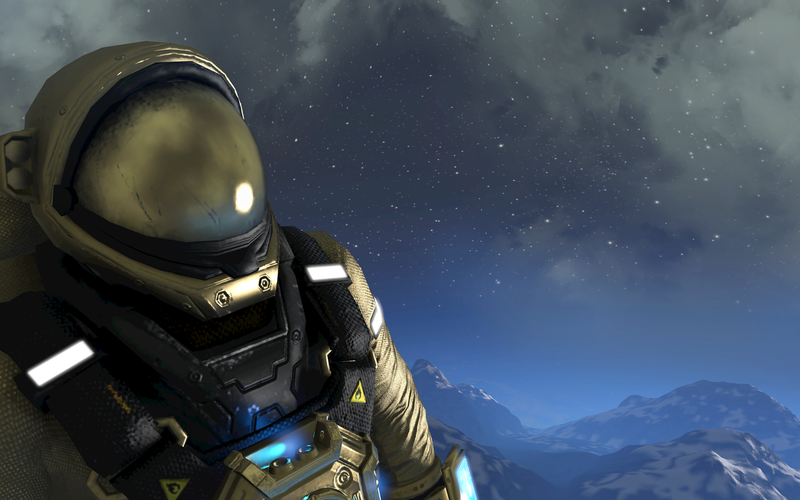 You can also trade-in items from another game for a Space Engineers item, and vice versa. For some of you this might be something you hadn’t considered before, for others it will also already be an established practice. 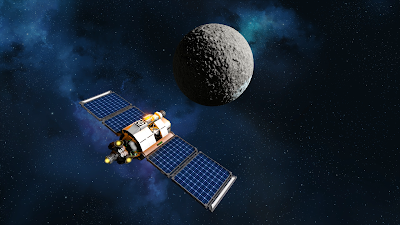 But it gets really interesting if you think about the kind of community we have with Space Engineers, and all the great people amongst you, creating new content for the game every day. 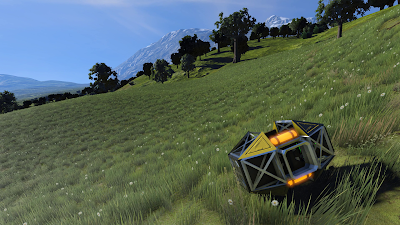 By enabling the Steam Inventory in Space Engineers, we are going the first step to truly include the modding community in further shaping the game. Modders will be able to design new items and submit them for review by the community. You, the players, will then be able to decide which you would like to see added to the game. And because we are making use of Steam and their Inventory Service for these items, the author’s ownership is always protected. Credit where credit is due! So how will this work for you right now?! All current players will find one set in their inventory already: It’s the “Veteran” Suit which we’d like to give you as a present and a special “thank you” for all your support up to this point. Moreover, all players who own the Space Engineers Deluxe Edition will also find “Golden” items in their inventory as a second complete skin set, right from the start! We've also increased the bundle discount to 15% which will apply to new buyers of the whole bundle or existing owners of the base game looking to complete the bundle. Check it out here. 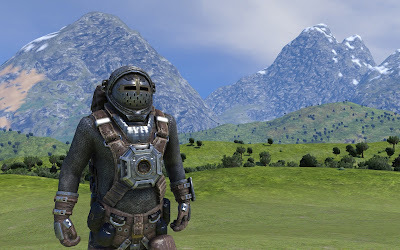 For all players who are playing Space Engineers, and also own a copy of Medieval Engineers, we are also bringing you the “Medieval” Suit on top of the ones already mentioned. So our biggest supporters will find 3 complete skin sets in their inventories right from the start! And for those among us that still do not own a copy of the game, do so now to receive the veteran suit for free while the offer still stands. We encourage you to provide us your feedback about introduced changes. We've created a new platform for players to submit feedback to the development team. 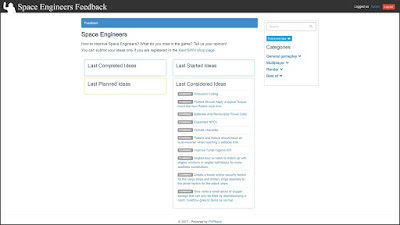 The feedback.keenswh.com page provides the possibility to let your voice be heard, or to vote for an idea that the team needs to look at and consider implementing. For more instructions, click here. Q: Does this mean you've fixed all the bugs and the game is finished? A: Not just yet. We have made very good progress in the last couple of months with our ongoing performance optimizations (CPU and GPU), memory optimizations, load time reductions, multi-threaded physics and multi-player stabilization. But there is still more to come! And the next major release (we already teased it to you a little a few months back) is also nearing completion! So stay tuned for more updates! Q: I am not interested in different skins, the default suit is enough, what’s in it for me? 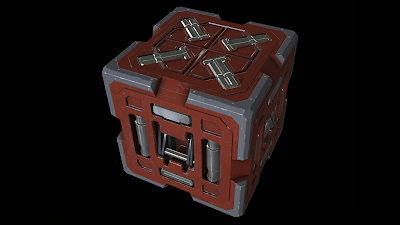 A: You will also find some building components inside the containers and you’ll have the option to salvage the containers too. Q: Steam Inventory? So will there also be an Item Store and I can only buy some of the skins for real money? A: No, you will be able to get all the skins eventually, just by playing the game. We are aware of the option, and if the community wants us to, we can easily enable it. But it is not planned for at this time. Q: Are you making the game pay to win? Will I have to buy a skin at some point if I want to have all of them? A: No we are not. The skins we are adding are cosmetic and are intended to be used for personalizing your engineer. We are also not selling the items, we are just making use of the Steam Inventory System for the technical implementation. You will always be able to achieve anything there is to achieve by just playing the game. Q: That still sounds like a money grab to me. How is it not? A: Any money we make by player to player trading (from which we would get a small cut) would ultimately be a win-win situation as there would be more funds for future development of the game. But if you just have fun in a more optimized game, playing together with your friends, it will be reward enough. Q: I play only creative! How will I get my hands on these items?! Q: Did you get an inspiration from other games / game companies to include the Steam Inventory into the game? A: We have been thinking about the skins for quite some time already. Our main goal was to have something specific in the game that gives players an opportunity to change the appearance of their engineers and have fun collecting the items. Our goal is always to bring you the most enjoyable experience. With all the different play styles that exist and that make Space Engineers so unique, it is not always easy to do so for all of you and be fair about it. The Steam Inventory Service helps us in this way. Of course we also looked at other games, and the ways they successfully implemented a feature like this into an already running game. We had a lot of fun with the design and visuals of the skins, so we hope that you’ll appreciate it. 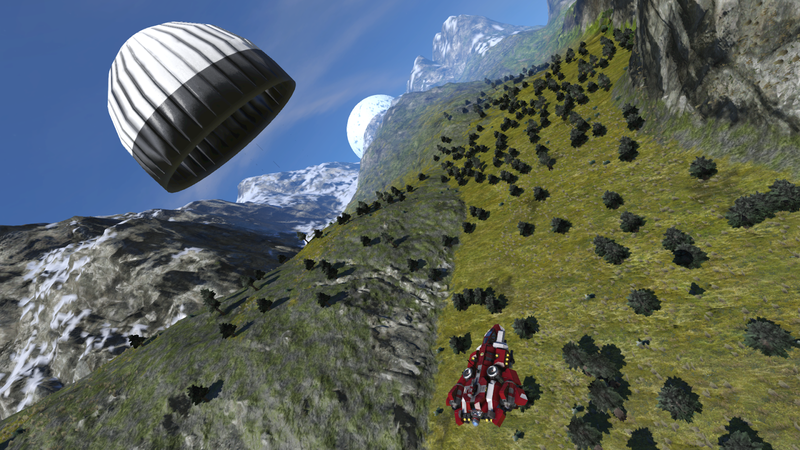 Transitioning from public Space Engineers git to internal SVN. Direct access to our internal SVN (source code repository) for select modders. 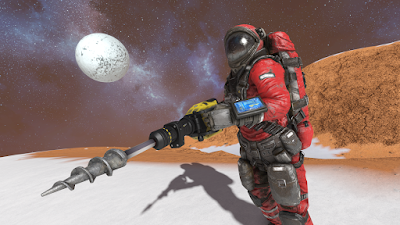 Almost two years ago, we announced that we were sharing the full source code of Space Engineers on GitHub. More info here. This was done with our modding community in mind, and it has been a huge advantage to them overall. With the source code in hand, the community has created many amazing mods that might not have been possible otherwise. After deliberating over it internally for months, we have decided to change the way we distribute our source code. The source on GitHub will receive no more updates, though it will remain online as a reference. As an alternative to GitHub, we are giving a few modders direct access to our internal SVN. By doing this, we give modders much more up to date code that can be built natively in x64 mode. Pull requests from SVN modders are also much higher quality, and are much easier to merge. Many of the ModAPI and programmable block improvements over the last year have come from this group, along with many other smaller features and fixes. As much as we would like to give everyone access to this system, it requires much closer oversight, so we have to be careful about how many people we take onboard. We have already begun recruiting modders into this new system; if a modder does good work and shows dedication to the game, we give them source access as a way to support them and their work. One of the best things about the git repo was that it was an easy place for new modders to go to just poke around and learn how the game works. This was a major consideration in the decision to end git support, so in order to help these new modders, we’ve started work on better documentation. Many of the ModAPI classes now have XML documentation in the source. These XML files are included in the release files, and you can find them in the Bin64 directory, although Visual Studio should find and load these files for you if your references are set up correctly. We plan to have more formal and thorough documentation in the future. We know that this change will impact many of you, but we are confident that this is ultimately a better system moving forward. Bringing modders into the SVN group means their work is more likely to be merged, and can be merged much faster than before.